These web exclusive home accents belong in a place we’re excited to spend time in now that spring is here – outdoors! You can view more web exclusive garden stakes, yard art and lighting here, and don’t miss out on the outdoor decor in our catalog, too. 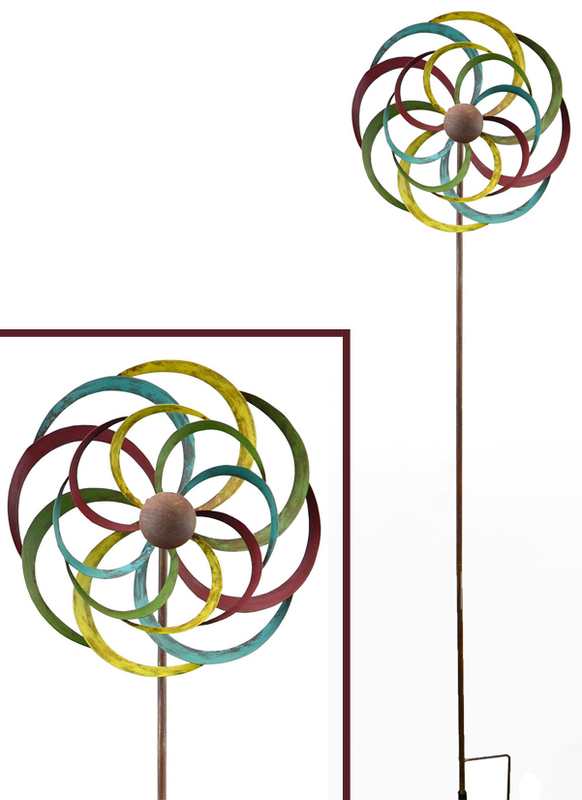 This garden stake will either add color to a green space or transitioning garden, or complement the colors of flowers and plants in your yard. Watch the spectacular spinner move with the wind throughout the seasons. A balancing garden stake adds sculptural value to your garden as well as heirloom charm among your favorite flowers and plants. 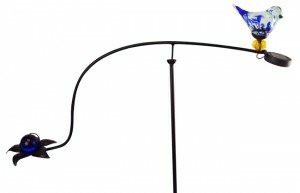 This balancer also features a beautiful glass bird and solar powered light, perfectly combining function and style. 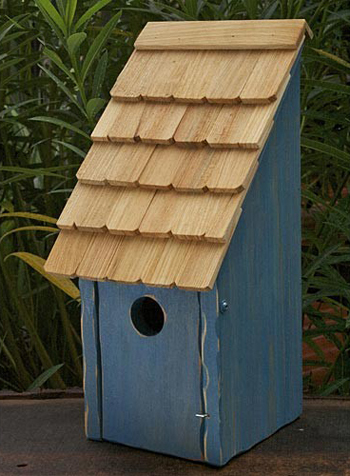 One of our many USA made Heartwood birdhouses, this simple design works in any outdoor space (your backyard birds will love it too). Check out the other colors here. For a more woodland look in your yard or garden, this rustic windmill is a great addition. Catch the wind and enjoy the view of the evergreen tree and white tailed deer from your seat on the patio or from inside. 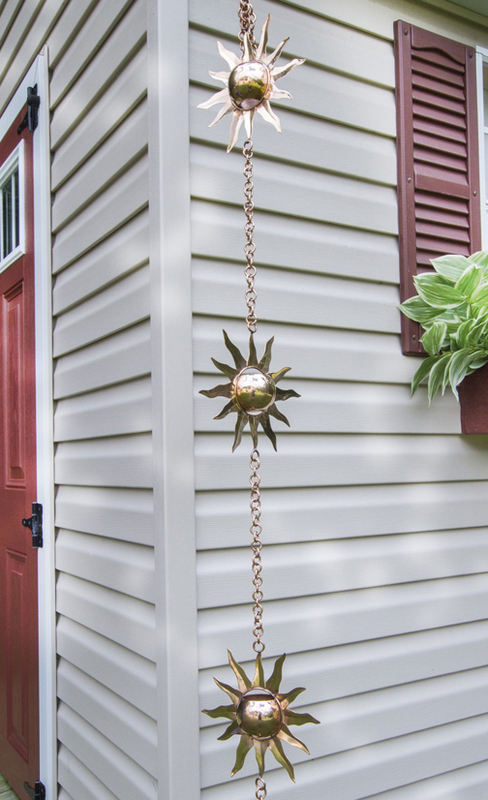 A rain chain provides a decorative alternative to a downspout. Display this accent piece and enjoy it even when it’s raining; the water will flow down the chain and into a separate basin. How are you decorating your garden this spring? Let us know on Twitter or Facebook and have a lovely season! This entry was posted on Wednesday, April 3rd, 2019 at 2:16 pm	and is filed under Decorating, Gardening, Outdoor, Seasonal Decorating, Weekly Spotlight. You can follow any responses to this entry through the RSS 2.0 feed. You can leave a response, or trackback from your own site.